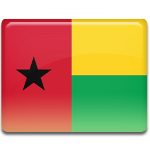 Guinea-Bissau officially gained independence from Portugal in 1974. The country's first president was Luís Cabral, leader of the African Party for the Independence of Guinea and Cape Verde. By 1980, economic conditions in the country deteriorated, and the population eventually grew dissatisfied with Cabral's government. On November 14, 1980, Prime Minister João Bernardo Vieira overthrew Cabral and suspended the constitution. Vieira appointed a Council of the Revolution that ruled the country for four years. The faction that led the coup called itself the Readjustment Movement and promised to correct the mistakes made by Cabral, such as socialist development agenda and human rights violations. Readjustment Movement Day, also known as Anniversary of the Movement of Readjustment, was established to commemorate the 1984 coup. It is still celebrated despite the fact that Vieira's policy of readjustment was not completely successful. The political situation in Guinea-Bissau remains very unstable, no president has ever served a full term.